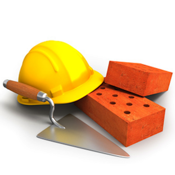 The application needed to calculate quantities of materials to make your concrete work. Choosing the type of concrete according to the work (resistance). or directly from sand / gravel. New too; calculation the amount of material to a mixer according to his ability to stir. Direct calculation of volume or mass.